Michele is a property management veteran with three decades of experience. She is responsible for the performance and effectiveness of property management assignments in the Detroit market. She oversees day-to-day operations, interfacing directly with clients, tenants, and vendors to deliver the high level of service that Colliers is known for. She also leads financial planning and budgeting for her properties, ensuring that there are no surprises and helping exceed performance expectations. Prior to joining Colliers International, Michele worked with Broder & Sachse Real Estate Services as a property manager. There, she was responsible for the performance of half a million square feet of investment property, including the creation and management of budgets totaling $7 million. Over a seven-year period she implemented significant cost-saving solutions, and represented the asset owners in lease negotiations. She was also responsible for the design, pricing, and completion of 160,000 square feet of tenant improvements. Managed capital improvement including cooling tower and roof replacements, fire panel update/installation, and elevators. 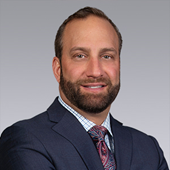 Based in Colliers International's Southfield Office, Paul Choukourian serves as the Executive Managing Director and Market Leader for the Southeast Michigan Region with locations in Detroit CBD, Ann Arbor and Southfield. Responsibilities include oversight in all aspects of the commercial real estate business: sales and leasing, education and training, recruitment and the regional philanthropic endeavors. Additionally, within Colliers, Paul serves on the United States Managers Steering Committee. 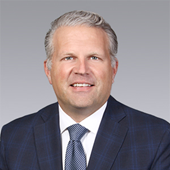 Paul began his career with a small office development firm which allowed him to work in multiple aspects of the commercial real estate industry including land assemblage, property acquisition and disposition, construction, property management, leasing and investment sales. Paul recognized that he enjoyed the deal aspect of the business and chose to pursue leasing and sales with a focus on the office and industrial segments with large public and private institutions. 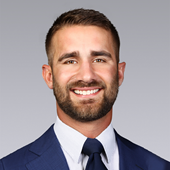 When Justin Duncan joined Colliers International in 2017, he brought with him over five years of experience in the commercial real estate industry. 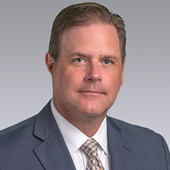 Prior to joining the team, he worked with one of Southeast Michigan's largest regional companies, holding a diverse array of positions during his tenure. His experience includes financial analytics and valuations, having worked on a cadre of complex deals across all asset types and classes, in over 15 states. This experience was put to practical use when he became engaged in property and asset management, helping to maximize returns on carefully selected capital improvements and other investments to attract, retain, and stabilize tenancy at properties under his management; REO management and distressed asset turnaround is a particular specialty of his. Justin also works closely with key persons in all divisions of Colliers to drive new business development and expand the footprint of the Colliers brand throughout the region. 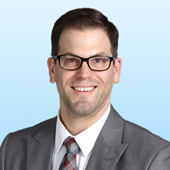 Bryan Barnas is an Associate at Colliers International Detroit. Bryan has created relationships and experiences in all the food groups of Commercial Real Estate. Most notably, Bryan specializes in Selling and Leasing office, medical, industrial, and high - tech properties. He received his license in 2010. Since then, Bryan has completed over 150 transactions. In addition, Bryan Barnas alongside Gary Grochowski, Director of Agency Leasing, helped build the Landlord platform to over 100 properties throughout Oakland, Wayne, and Livingston County.